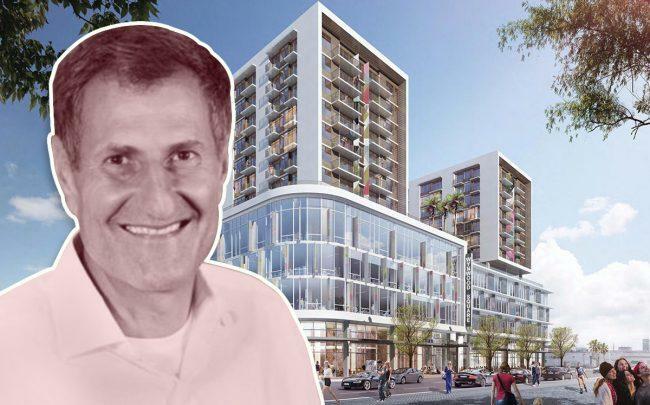 CIM Group scored a $71.2 million construction loan to start building its 12-story Wynwood Square mixed-use project. The Los Angeles-based company secured the loan from Sumitomo Mitsui Banking Corp., one of the largest Japanese banks, records show. Wynwood Square will include 241 apartments, 60,290 square feet of office space, 27,212 square feet of retail and 481 parking spaces. The project will be located at 2201 North Miami Avenue near the heart of Miami’s trendy arts district. Miami-based One Real Estate Investment is a co-developer on the project. The development group led by Jeronimo Hirschfeld bought the property for more than $15 million in 2015, records show. CIM Group paid $16.6 million for the property in November. CIM recently completed Caoba, a 43-story, 444-unit apartment tower in downtown Miami. The project at 698 Northeast First Avenue is part of Miami Worldcenter. National and local developers are eyeing Wynwood for new apartment and office projects. The Related Group and East End Capital are developing Wynwood 25, a 285-unit multifamily project. Related and Block Capital Group recently topped off The Bradley, a 175-unit apartment building at 51 Northwest 26th Street. Lennar is planning to build an 11-story, 189-unit apartment that will be part of Wynwood Green. The project will be built on Northwest 29th Street, at the site of Wynwood Yard.